Born in South Dakota, Collins’ family wasn’t extraordinarily musical, but she knew from an early age that she was drawn to music. 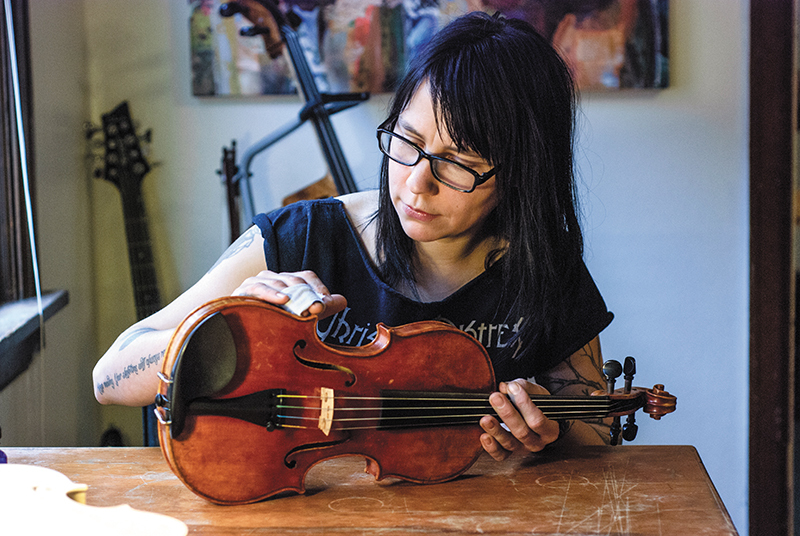 “I played violin for a minute and switched to cello,” she says. Collins would learn to love these instruments, though she never allowed her instrument choices to define her musical style or identity. It would have been easy to get caught up in the classics or joining a folk music group. Instead, Collins spent her early years playing and touring in punk and metal bands. 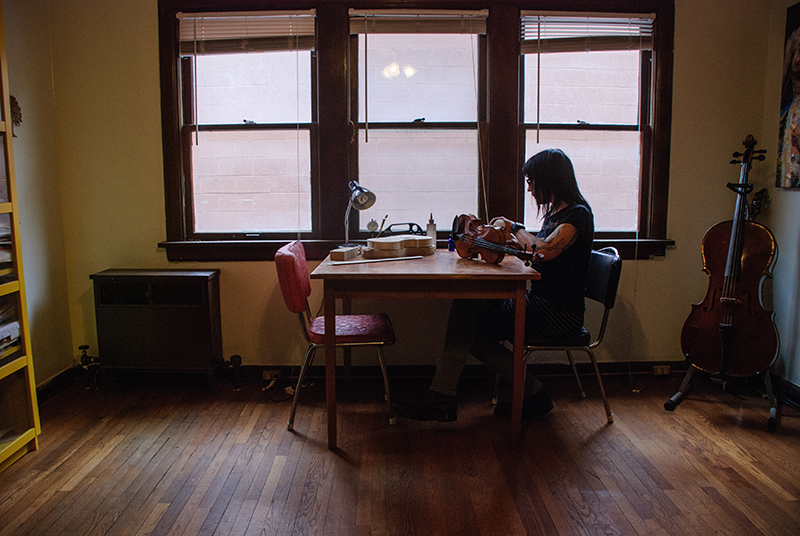 “I love heavy, sludgy, beautiful, heart-wrenching music,” Collins says, and she puts that love into her art. Collins has toured the country with a number of bands. Collins works one-on-one with players who want her to build them an instrument. 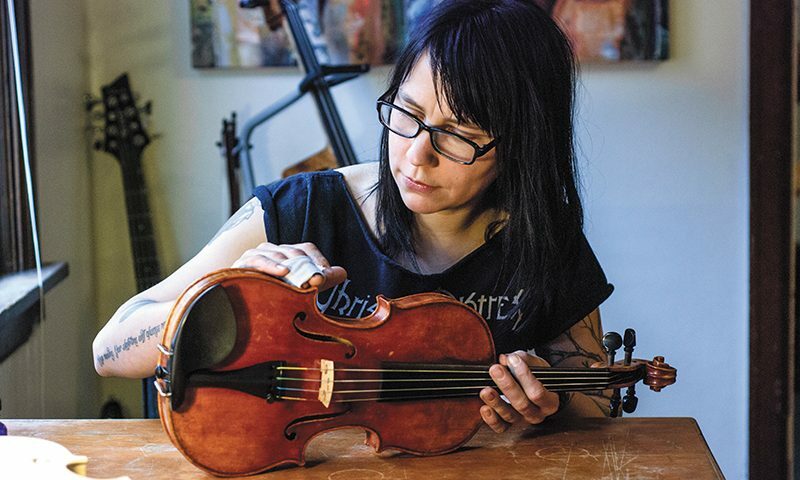 Also, “I have a selection of finished violins ready and available for trial or purchase,” she says, during which the player can be involved in every stage, “from wood selection to final setup adjustments.” Inquiries can be made via email at violinmakertothestars@gmail.com or by phone at 801.898.5967.